Chocolate biscuits are my favourite. Chocolate cakes are probably my favourite too. 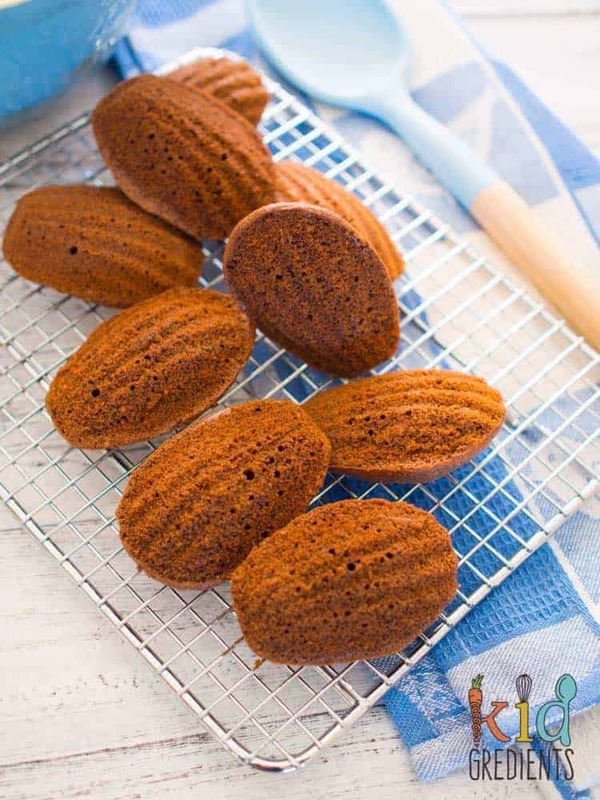 These low sugar chocolate madeleines are probably my favourite treat right now as they combine both of these things. These are so low sugar that it’s barely worth mentioning. You need a mixer to make these, or hand beaters, but they are so worth it! 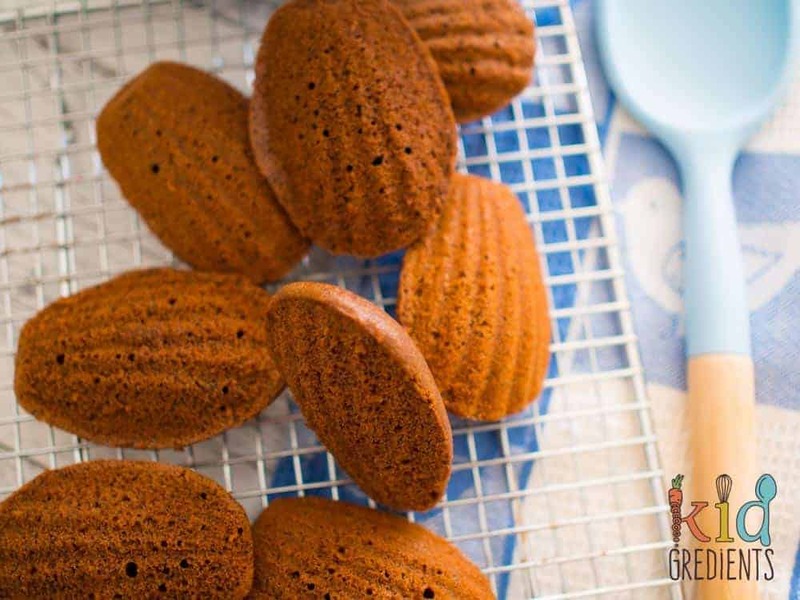 I was first introduced to madeleines many years ago in France. They were one of my favourite things to eat whilst wandering the Parisian streets. I’ve spent a fair bit of time in Paris and France, in 2005 Mr Kidgredients and I went on an odyssey through the champagne region, over to Evian-les-bains, down to Nice and into Italy, then back up the centre of France to Paris. Then when we were living in London, we spent a Christmas at my Aunty’s house in Paris and I spent the March break (I was teaching) there. Fast forward to 2008 and we embarked on a mega driving holiday from Paris to Verdun, over to the Alsace Lorraine, through Switzerland, right down the eastern coast of Italy, back up the western then along the south of France to the West coast and back up, camping along the way and mixing it up with hotels, B&B’s and random guest houses. It was amazing. I hop to one day do the same with my kids. 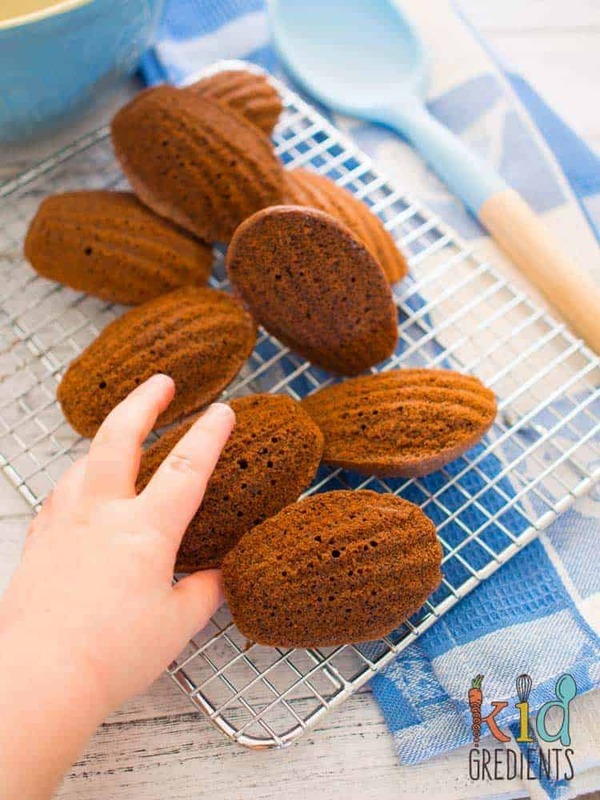 But back to these chocolate madeleines. What’s special about them? You could just forgo the madeleine nature of them and make them in a muffin pan, but honestly, you’d be missing out. The beauty of the madeleine is the shape of the cake/biscuit and the way the edges go as a result of the pan in which they are cooked. 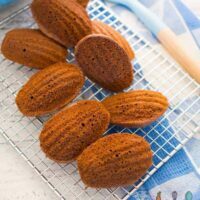 Madeleines are gorgeous on the day of baking as a cake, and then the next day they are ideal for dipping in a coffee or a hot chcocolate as they change texture very rapidly. 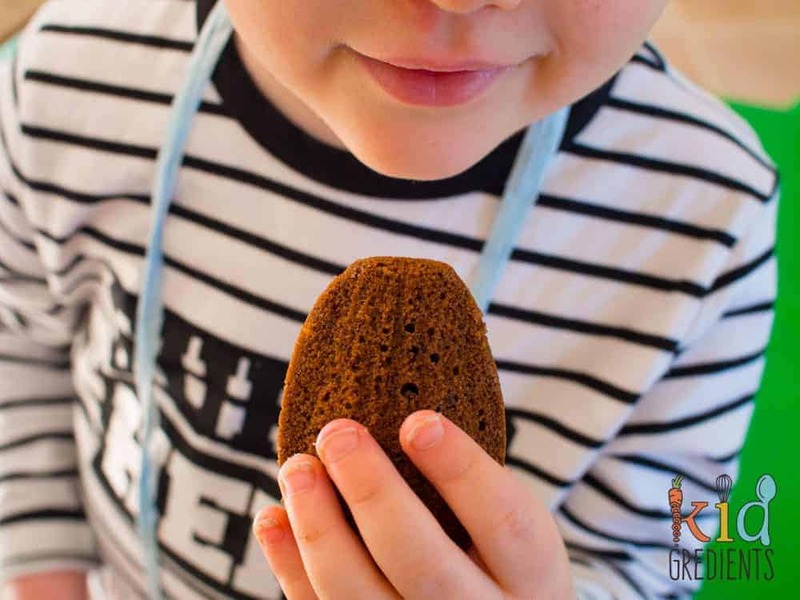 If you want to freeze them, you need to do so as soon as they have cooled after baking so as to ensure they retain as much of their original texture as possible. 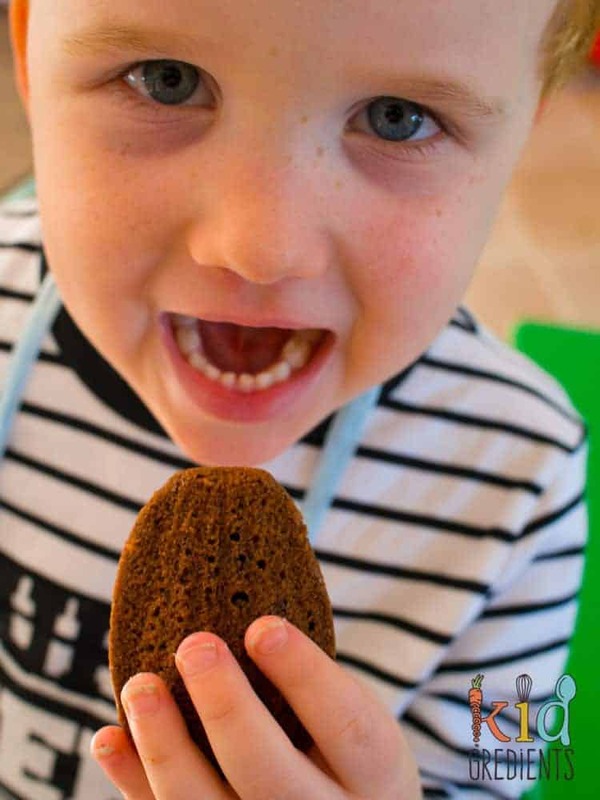 The kids love these and I love the fact that they are super low in sugar because then we don’t have any hideous sugar highs…or awful lows after! This makes 24 because they will go super quick. Don’t buy 2 madeleine pans though, just rinse and dry in between batches, they are such a quick cook it doesn’t adversely effect the mixture, just give it a stir in between. 1 cup self raising flour, please sift! In an electric mixer, combine the eggs, vanilla and sugar. Beat until thick and pale. 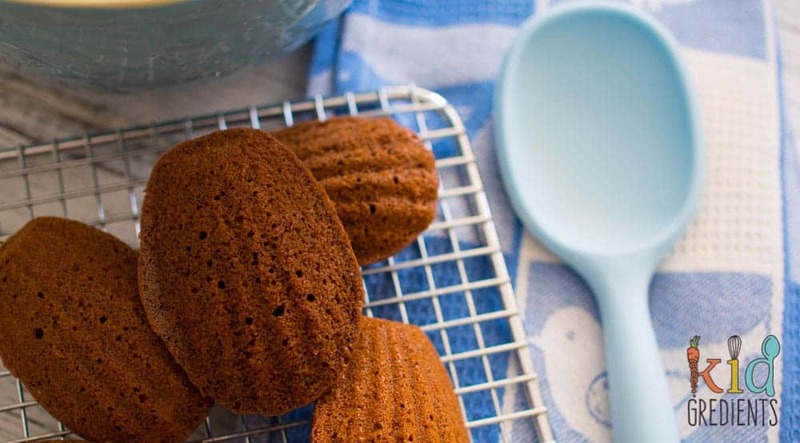 Fold the flour and cacao gently through the mixture with a wooden spoon. Add the butter and gently fold through. Bake at 180 degrees for 8-10 minutes, watching they don’t burn. Cool in the pan for 5 minutes before turning onto a wire rack to cool. Oh I’d love to make these! What can I do if I don’t have self raisingflou? What proportions should I use of flour and baking powder? So it’s generally one cup of flour and 2 teaspoons of baking powder! 😉 Hope that helps.